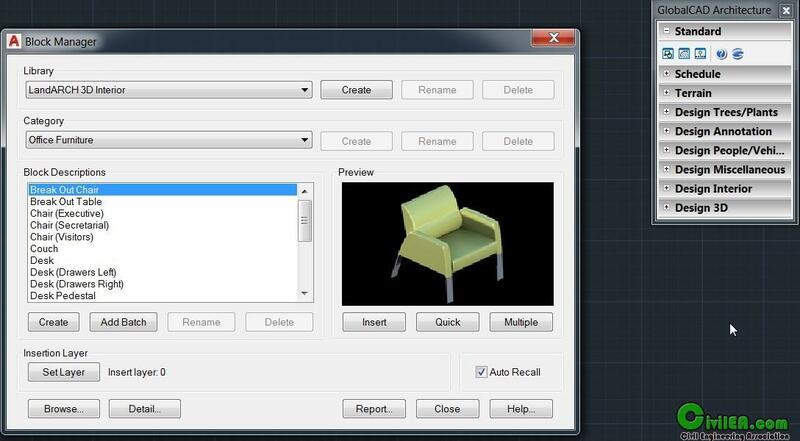 APLUS is an add-on for Autodesk AutoCAD. It enhances it functionality by adding new commands written to speed up drafting. 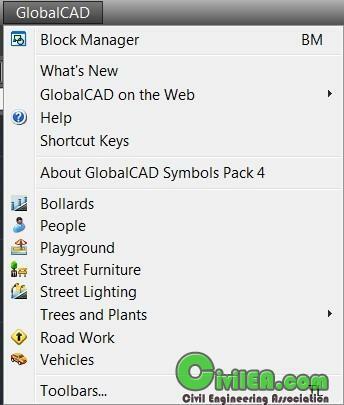 APLUS comes as a package with both new commands for AutoCAD and set of dwg blocks ready to use with APLUS BIINDEX menu. 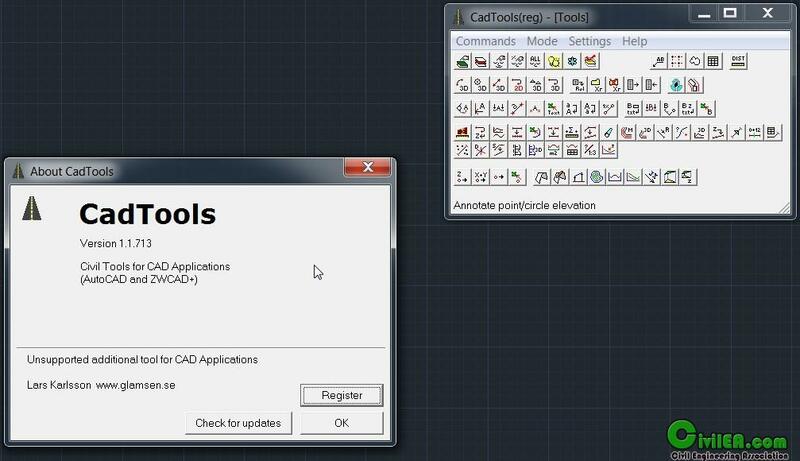 CadTools (ToolBox) is developed for Civil Engineers using AutoCAD. There is a number of great software on the market that supports the design process for roads, rails etc. The final design of the drawing is often left for the user without any support other than AutoCAD’s usual tools and commands. 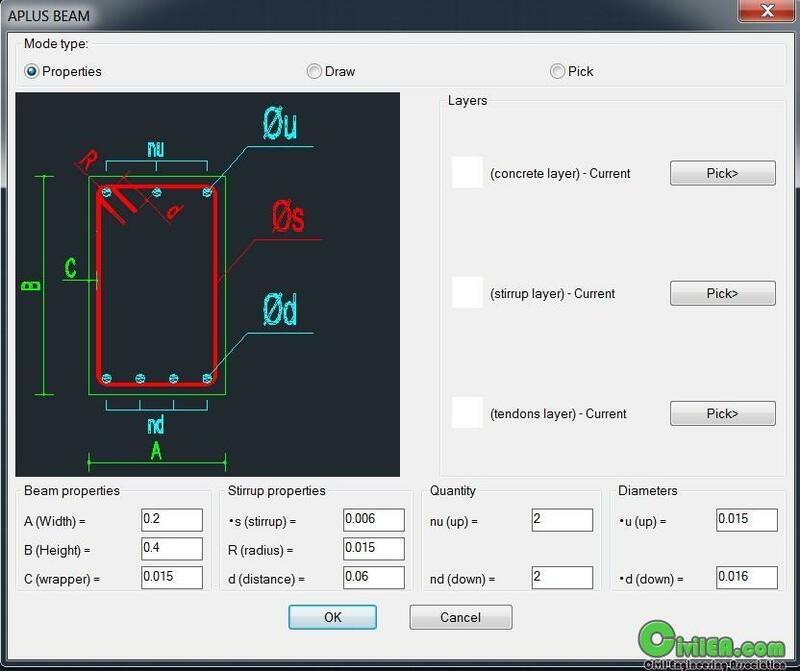 In the beginning CadTools was designed to support slope calculation (drainage). Since the first version, over 50 useful commands have been added. Some commands have extra functionality limited for unregistered users. Almost all commands are developed for 3D, the main reason for this is that it's fun to create design models in real 3D. Using Autocads Orbit command to examine the final design gives a good idea of how it's going to look when it's built. 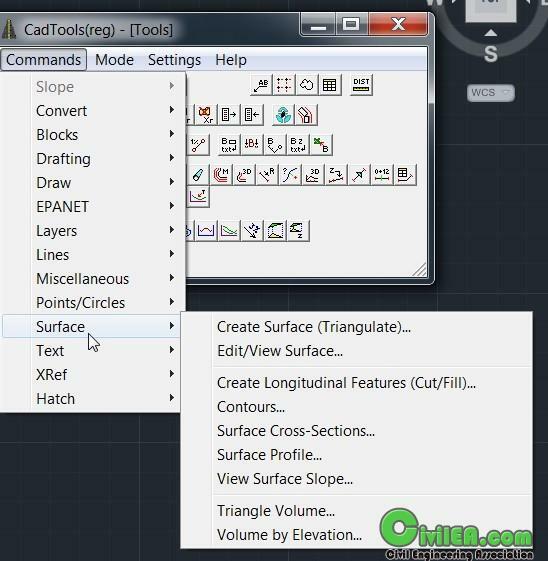 CadTools provides several useful commands. The most common commands can be reached by a toolbar placed at the top. 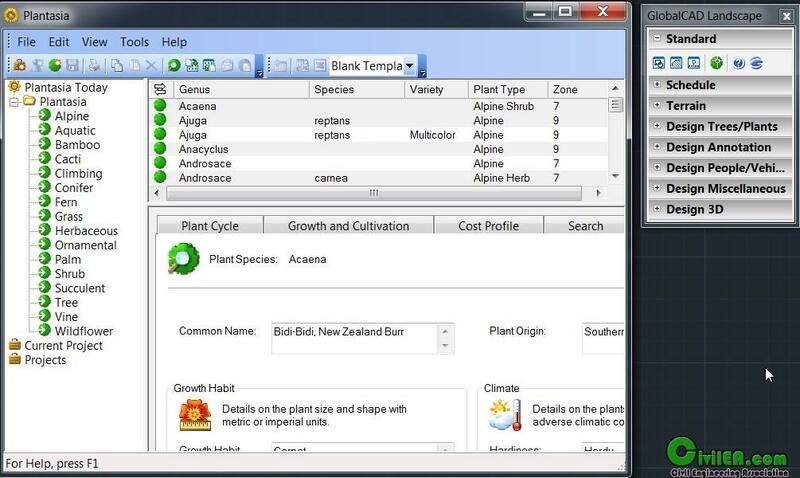 The software runs in three modes, Slope , Command Tree and Tools. If mode is set to Tools all input-boxes and toolbars for drainage support are hidden. • Decimal separator for input values in CadTools should be same as operating system settings (Control panel). 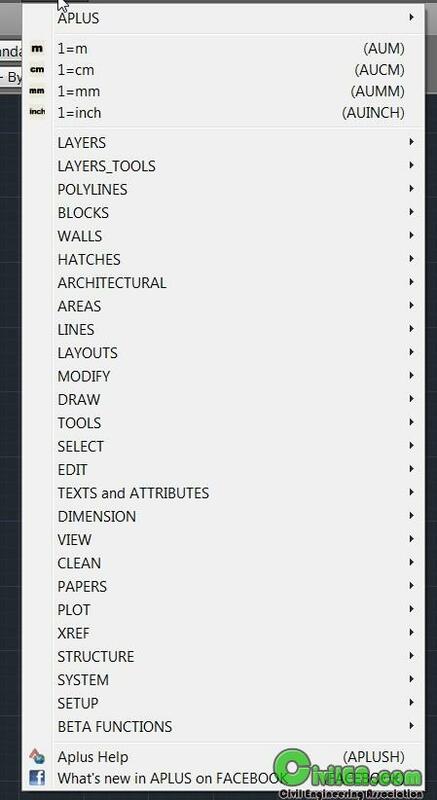 • All commands are developed for use in ModelSpace, some might even work in PaperSpace. be presented as anything from 2D markers to points in 3D space or contours. 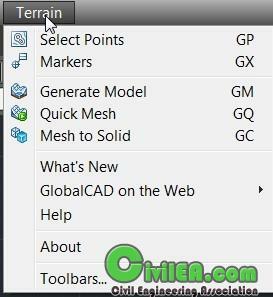 GlobalCAD Terrain gives you the tools to generate ‘intelligent’ surveys, either by converting an existing drawing or starting from scratch. Move any intelligent survey point marker and its associated XYZ value automatically updates to suit the new location! 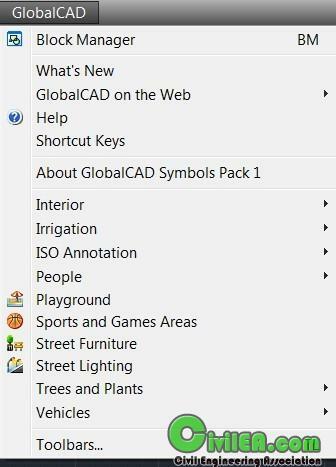 The essential tools in GlobalCAD Schedule make it easy to create schedules and bill of materials from your drawing data and export it to a variety of popular formats. Working with schedules and bill of materials are a critical component of any project. Creating these documents presents many unique challenges. Among them are deciding what to schedule, how to format it and most importantly accurately reporting it and keeping it up-to-date. 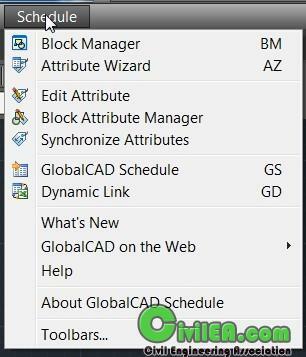 GlobalCAD Schedule provides the effective and reliable solution to all of these issues. Its feature-rich toolset lets you query drawings for block attribute data and save it to a variety of file formats. Unique formatting options mean you can pre-set the style for each spreadsheet and export only the data that's critical to your needs. Keep your Microsoft Excel spreadsheets synchronized with the Dynamic Link option. 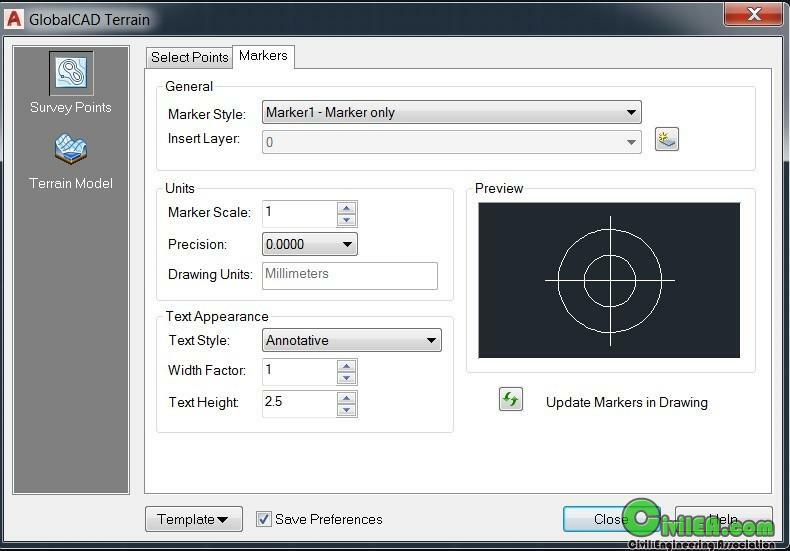 Simply edit the current workbook and your drawing updates automatically! 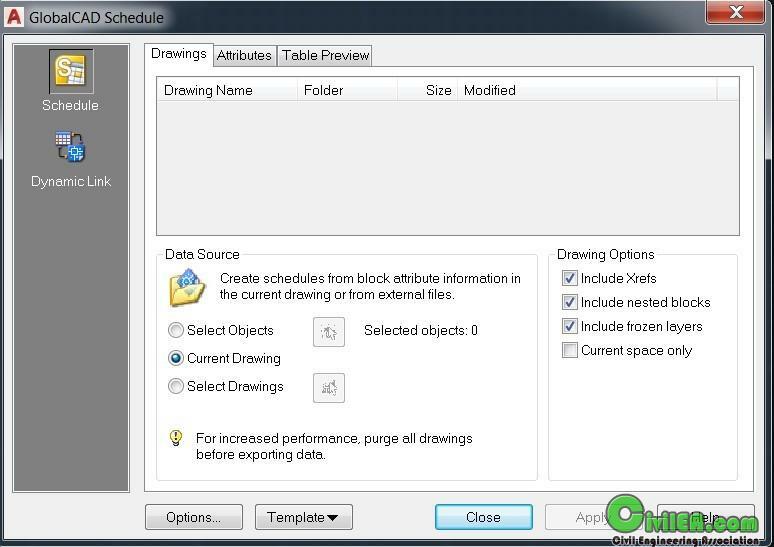 Alternatively, you can work on spreadsheets remotely and update associated drawings all at the click of a button with the Import feature. 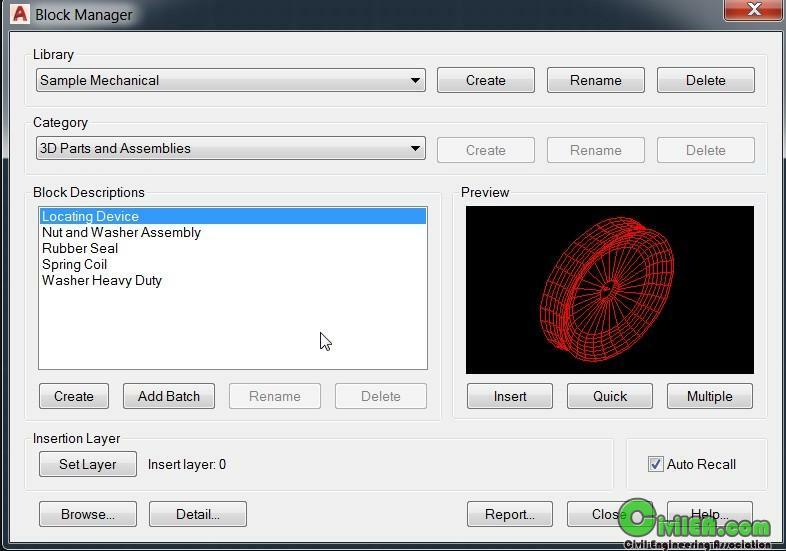 With GlobalCAD Organizer, objects are organised within distinct libraries with advanced viewing capabilities. They can be identified fast and are accessible right when you need them. Management tools ensure the library database is always up to date, with the ability to view and print library content and other details. Objects including blocks and hatch patterns can be contained on local drives or on a network. 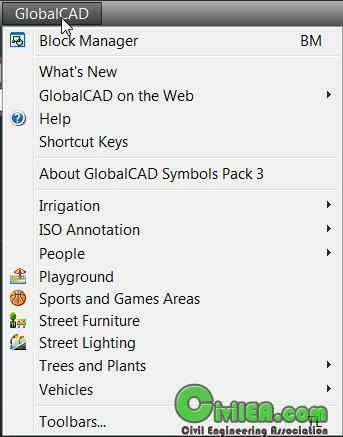 GlobalCAD Landscape is the integrated landscape design solution that simplifies ® the way you work with AutoCAD BricsCAD Pro/Platinum. 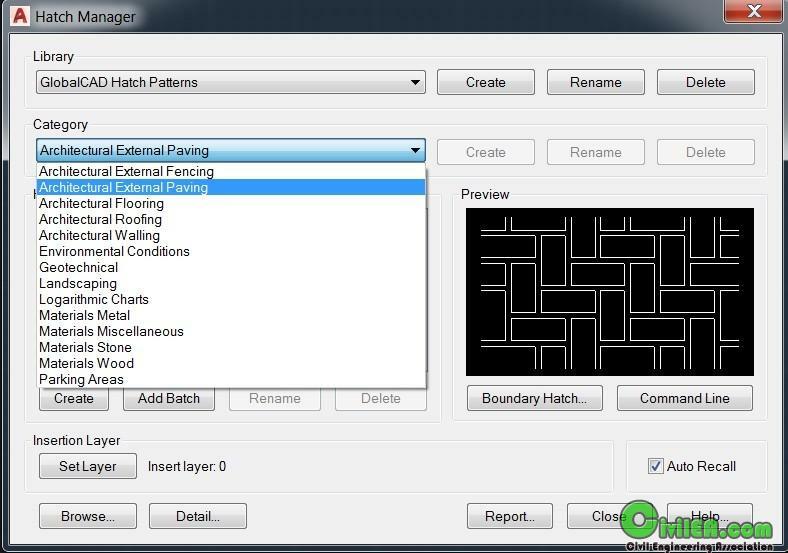 Hatch Manager provides the solution to all your hatch creation and management needs. You can build entire libraries from scratch, add existing PAT files in seconds or create your own unique patterns from existing drawing objects. 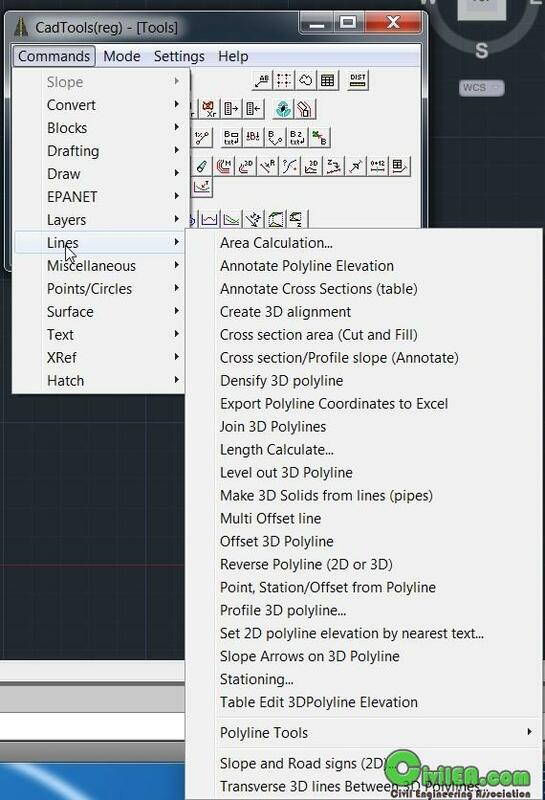 The software also links directly into the AutoCAD/BricsCAD Boundary Hatch (Bhatch) dialog, ensuring all your patterns remain fully featured with essential options such as associative, non-associative, edit boundary and pattern re-scaling. 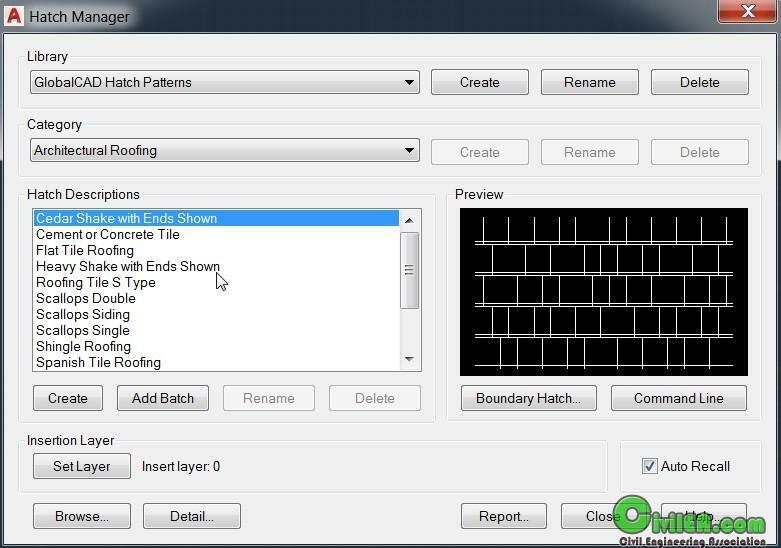 With Hatch Manager, patterns are organised within distinct libraries with advanced viewing capabilities. They can be identified fast and are accessible right when you need them. Management tools ensure the library database is always up to date, with the ability to view and print pattern details and other library formation. Patterns can be contained on local drives or on a network. 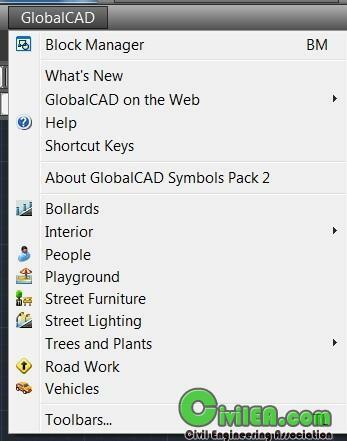 GlobalCAD Architecture is the integrated architectural and land planning add-on for ® ® AutoCAD , AutoCAD Architecture and BricsCAD Pro/Platinum.